Traffic Control Products are essential in preventing vehicle-related collisions, damages, and injuries. Ideal for use in employee and customer areas, our collection of Traffic Control Products are available in a wide array of eye-catching colors to ensure lots, ramps, drive-throughs, and other important areas remain visible from dusk to dawn. 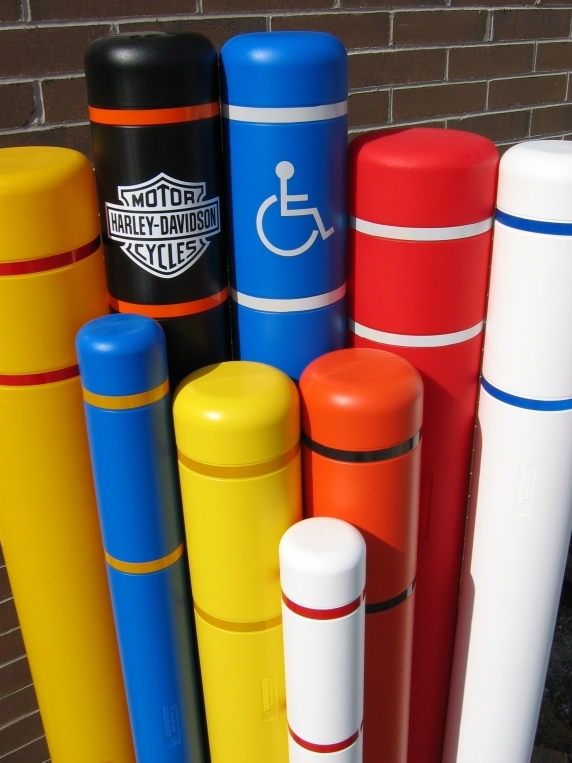 Begin your traffic control plan with the installation of Bollard Covers, fully customizable covers that make existing parking bollards highly visible (Safety Yellow color and reflective accents available). Add the finishing touches to your parking lot with our Parking-Stops, a new spin on traditional parking stops that utilizes a recycled polymer that is just 1/10th the weight of concrete. 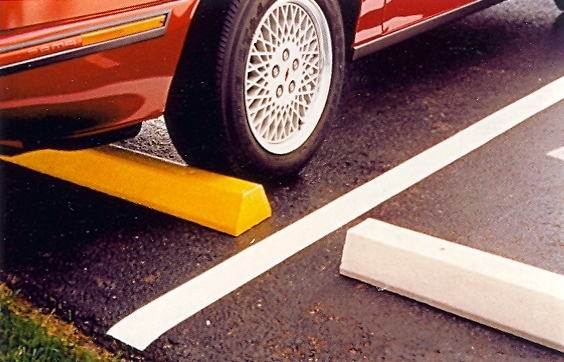 Cover existing bollards with our customizable Bollard Covers®, and reduce the damage caused by accidental impact. Bollards are most common in parking lots, drive-thrus, and loading docks. Parking-Stop® is ideal for use in parking lots where parking and through-traffic are to be controlled. Made of a recycled polymer, each Parking-Stop® is 10 times lighter than traditional parking stops made of concrete. Available in 5 unique colors, including Handicap Blue and Safety Yellow, each Parking-Stop® comes ready-to-install with all necessary hardware. Choose from: Black, Gray, Handicap Blue, White, Safety Yellow.